In small glass jar, combine extra virgin olive oil, balsamic vinegar, mustard, lemon juice, sea salt and pepper. Cover jar with secure lid and gently shake to combine vinaigrette. In large mixing bowl, drizzle vinaigrette over mixed greens and toss. 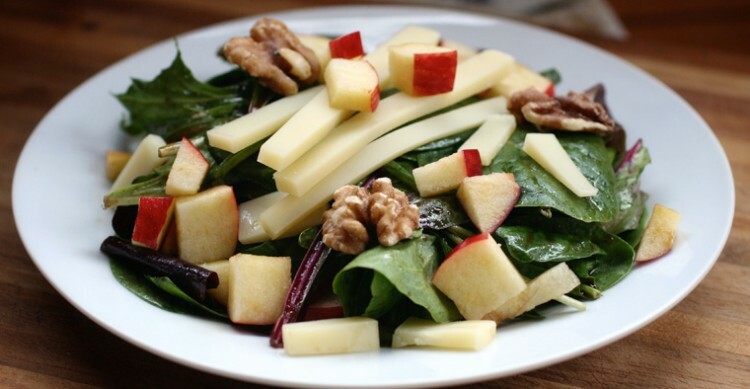 Top greens with diced Pazazz apples, diced Swiss cheese and walnuts to serve.